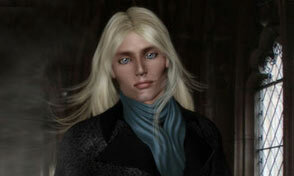 Fantasy Action Adventure, with a Touch of Realism Written for Ages Nine to Fourteen; Enjoyed by All Ages. The Odyssey of Jon Sinclair Trilogy is the time-travel story of a young boy who traverses the world from 1200 BC to 2410 AD in search of his true identity and his lost family. The attached pdf is a note from the Author sharing her insights to writing. Sally Copus’ earlier career as a businesswoman was in the field of Direct Marketing. As a co-founder and partner with her late husband, she helped to establish and manage a very successful national database marketing company in the Dallas, Texas area. The two entrepreneurs built the company together, performing all the duties necessary to move the fledgling business along in an ever expanding market environment while raising a family. When the youngest child was in college, they sold the business, and for the first time in her life Sally had time on her hands. So she read: books, books and more books. She and her husband travelled and moved to Fort Lauderdale, Florida, where she used her business expertise to help raise money for several worthy charities. But it wasn’t enough to keep her mind busy. She had always been a good storyteller and could draw reasonably well. Her young grandchildren provided her the context to begin writing picture books. 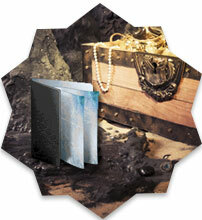 But published picture books carry a one thousand word limit for story content which was a challenging constraint. 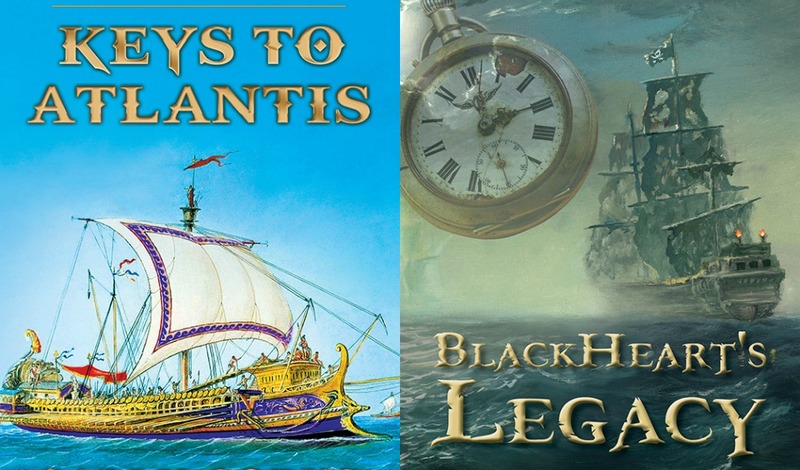 Having found her genre, she independently published BlackHeart’s Legacy, Book One in The Odyssey of Jon Sinclair trilogy, and a middle grade adaptation of one of her earlier picture book stories. 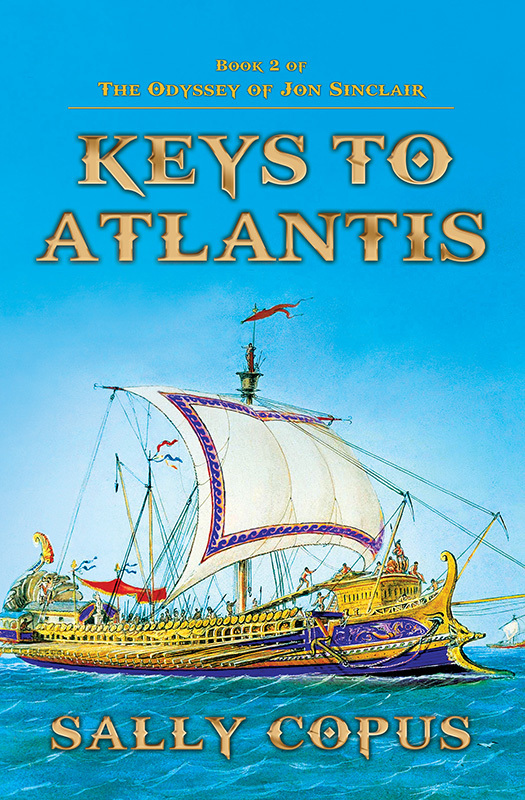 When she received the news that BlackHeart’s Legacy had received a starred review and awarded a place among Kirkus Reviews’ Best of 2012, she was busy caring for her husband, who was terminally ill.
Now she is back hard at work promoting the first book, and preparing for the printing of the second book in the series, Keys to Atlantis. The story is still growing and Sally is heavily into the third and final book of the trilogy. Twelve-year-old Jon is kidnapped and taken aboard the ship of the notorious Captain BlackHeart where he is forced to join the dangerous crew. He survives hurricanes, sea battles and risky searches for treasure, while wanting nothing more than to return to his life as it once was. 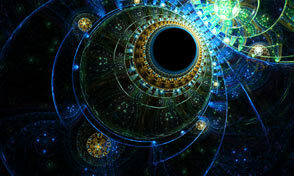 “Jon was strapped in his seat next to Kathryn at the console as the ship swirled slowly in the familiar time vortex. Suddenly there was a hard jolt!” Step into the world of Jon Sinclair. 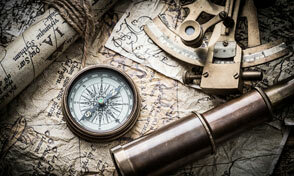 “Tonight we sail in total blackout with black sails and no lanterns to Devil’s Rock—our hideout. 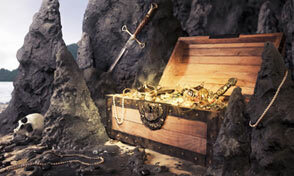 There we will hide the gold and treasures we brought up from the sunken Spanish galleon,” said BlackHeart. They spread the maps across the deck boxes. “Two degrees north by north east one degree. 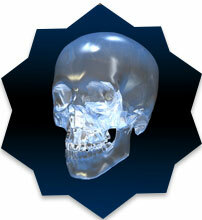 That’ll put us right on top of the sunken galleon northwest of the last Key in the Florida Straits,” BlackHeart said. Jon walked with the crew as they snaked their way through heavy brush with their hatchets and machetes, tossing brush far out right and left. 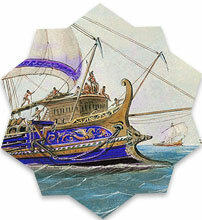 Other crewmen carried heavy chests weighed down with gold and gold artifacts from the wreckage. 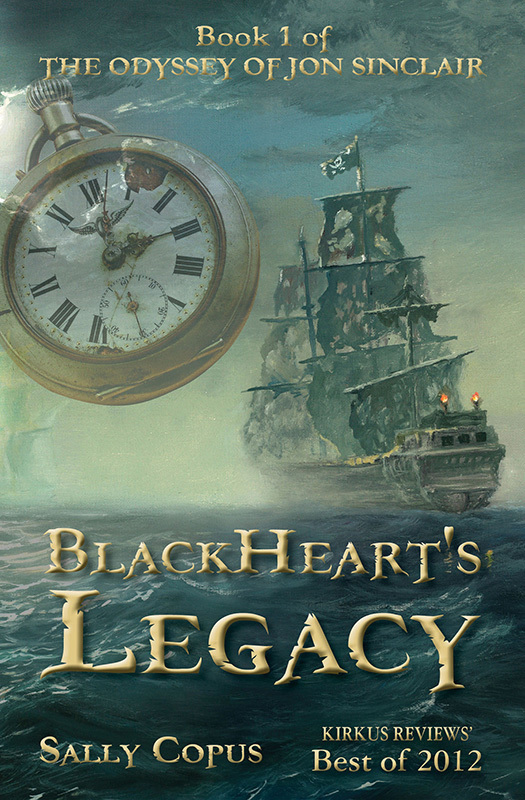 If you haven’t read BlackHeart’s Legacy, grab a copy so you’ll know the story and can brush up on characters and events before the release of Book Two in the trilogy, Keys to Atlantis. What if you suddenly found yourself sailing out to sea in the Caribbean with seventy-three dangerous men on a tall ship…hostage…in 1692. 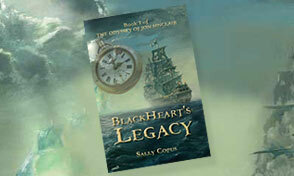 Step back in time with modern day, computer-savvy Jon Sinclair and experience his world of excitement, drama and fear amid hurricanes, sea battles and risky treasure hunts. 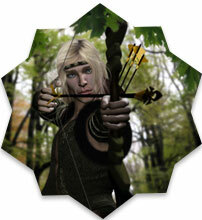 At age fifteen, Jon holds many medals in archery, fencing and martial arts. 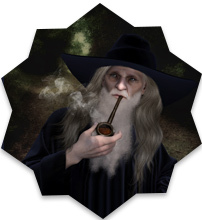 But none of these medals will prepare him for the dangers he will face alone in the dark, damp cisterns of the Egyptian city of Alexandria, and in the mysterious labyrinths beneath the ancient city of Atlantis in 1198 BC. 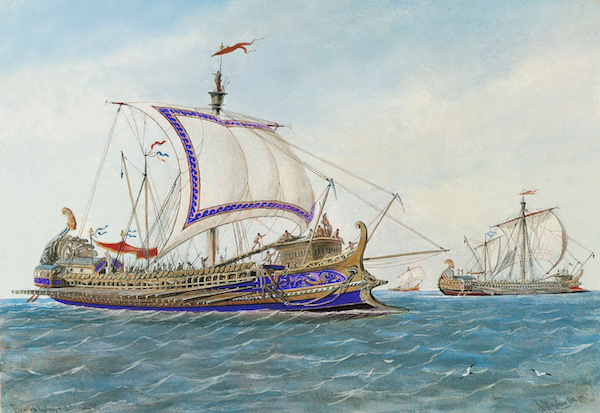 With a fleet of only seventeen triremes, the Command Trireme Artemis will battle against 200 Armada ships at the gates to Atlantis. “We go to War!” shouted BlackHeart as Jon lifted his bow and arrow and the drums beat the rhythm for the three decks of oarsmen below. The high arched bridge that connected the last ring of land to the mainland of Atlantis was covered end-to-end with tall condominiums. The housing structures were all joined with common walls. 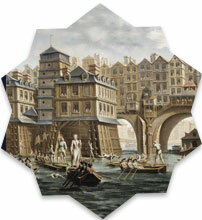 Small boats navigated the waterways between the landmasses. 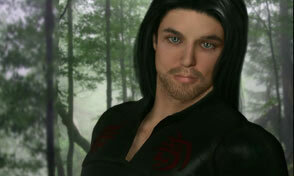 Though no one, including Jon Sinclair himself, knew who Jon really was, his enemies already had begun to surface. Sign Up to get the latest news about Giveways, Offers & Updates from Sally Copus!